Finale Inventory is a cloud-based inventory management software designed for warehouse management and high volume multi-channel e-commerce applications. Its features include stock management, purchasing, order management, purchasing and replenishment, barcode label printing, and more. In this article, we cover user reviews and pricing. Ready to try Finale Inventory? Get a free trial. Users who gave Finale Inventory a positive review said that it offers a highly customizable dashboard that adjusts to their businesses’ needs and preferences. Some users like that it seamlessly integrates with order fulfillment services such as Shipstation. Users who gave Finale Inventory a negative review reported that its user interface required improvement. Some of them also complained that they could not create bulk purchase orders. One user who gave Finale Inventory a negative review on Capterra shared that its reporting and document templates are lacking customization features. He added as well that the user interface is outdated. He also wished there was an Amazon FBA integration to simplify inventory management. Finale Inventory has five subscription plans: Bronze ($99/month), Silver ($275/month), Gold ($449/month), Platinum ($649/month), and Custom (custom priced). The main differences between the plans include the number of users, orders fulfilled per month, integrations, and access to premium features such as advanced security controls, barcoding licenses, and level of support. Ready to try Finale Inventory? Get a free trial. Can Finale Inventory users manage multiple warehouses? Yes. Finale Inventory enables users to move stock inventory between different location. They can also track the departure and reception of each item in real-time. The software employs a multi-warehouse inventory management capability to prevent inventory level problems. How does Finale Inventory help with the reordering process? Finale Inventory provides users with a system that tells them when to reorder and how many units should they order. It also gives data to help prevent over purchasing. Not sure if Finale Inventory is the right fit for you? Read our reviews of all top inventory management software or check out one of these three Finale Inventory competitors. There are so many features that we use. We were struggling to find a system that did light manufacturing and tracked inventory for small businesses. I love that it’s web based and every time I ask their support how to do something new, there is already a feature in place. The programs integration to shipstation means that most of our inventory tracking is automated and we don’t have to do much work. There isn’t much to dislike. If I was forced to find something, users can only create a manufacturing build for a single product rather than building 6 products at a time as we do. I wish I went with their system sooner – I didn’t understand how robust their functionality is. Their support is great and they find ways to make our processes work in their system. 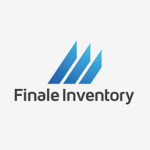 We have been using Finale Inventory as our Inventory software since 2015 and are very satisfied with it. We always look for software that is simple to use, incredibly good at what it does, integrates easily with other cloud-based software systems and a company that provides excellent customer support. Finale Inventory fits all 4 of these requirements above and beyond! I think because the UI of the software and their website design is a bit ‘old fashioned’ people get the wrong impression of this company and their outstanding inventory system. I am interested in the excellence of functionality and the productivity of my team in using this tool and their ‘old fashioned’ UI is perfect for us. We don’t need bells and whistles, we need an inventory software that ticks like a Swiss watch and this is what we have found in Finale Inventory. Our finale account manages 3 warehouses for us and connects natively to 4 other cloud-based software systems and 3 others through APIs. As our company has grown (we now have warehouses in the US and EU connected to multiple e-commerce sites) we are discovering features of Finale that we didn’t know existed and have made our growth very simple. I know for example that they have a bunch of reports that can be customized which we have not taken advantage of yet. I find it is hard to get a true sense of how easy it is to get help when trouble arises (as a salesperson is always extremely available before a sale is finalized, but then after that you don’t really know) but from our initial merger from TradeGecko to Finale, they have been amazing at quickly responding to any issues we encounter and always very friendly and helpful.